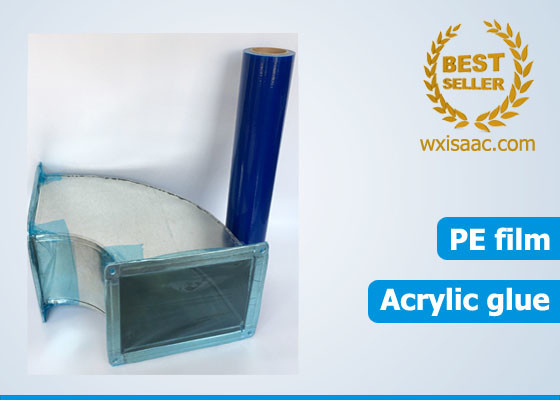 Provides protection to all sizes and types of ductwork with this HVAC duct protection film. 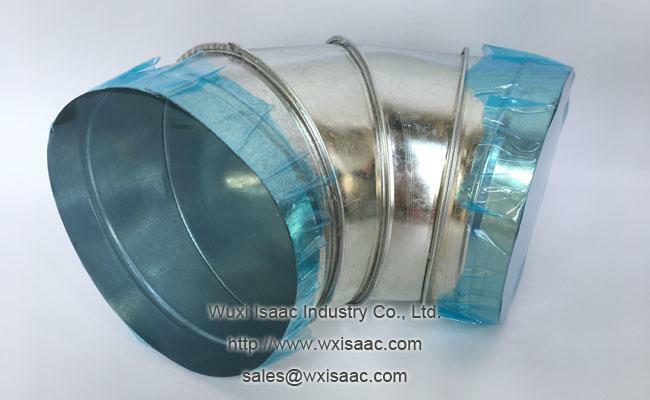 Efficiently seals ductwork openings and prevent contaminants entering the ductwork system to avoid poor air quality indoor. 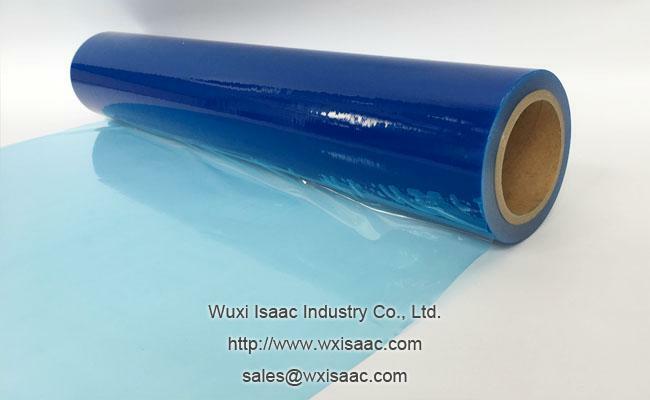 It is temporary pe protective film that will be removed after construction is finished. Specially formulated adhesive coating will leave no residue on metal after removal. 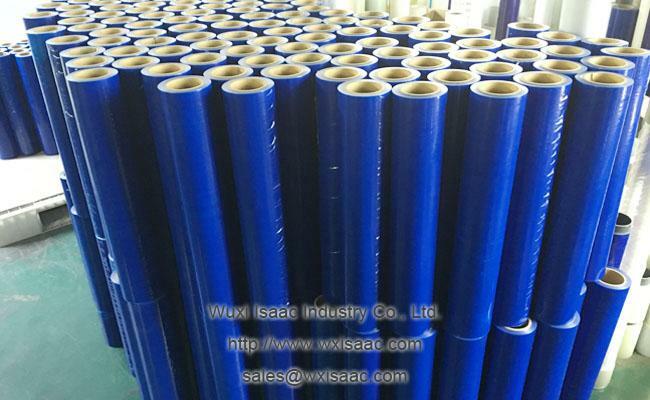 The film material is anti puncture LDPE (linear low density polyethylene). High tack water based adhesive ensures strong hold. Blue tinted colour for easy verification on the building site. 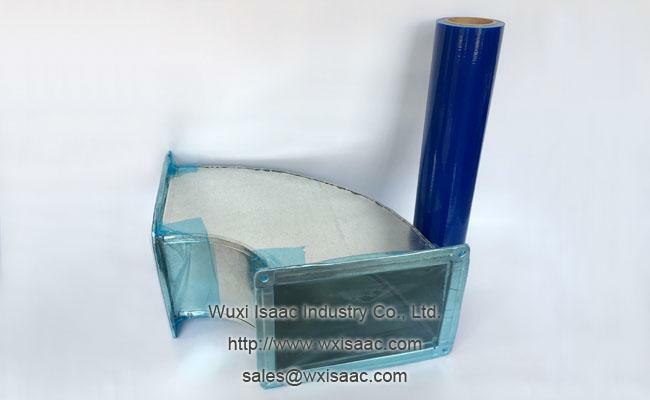 1, All Isaac’s protective films are combined with PE film and acrylic glue. 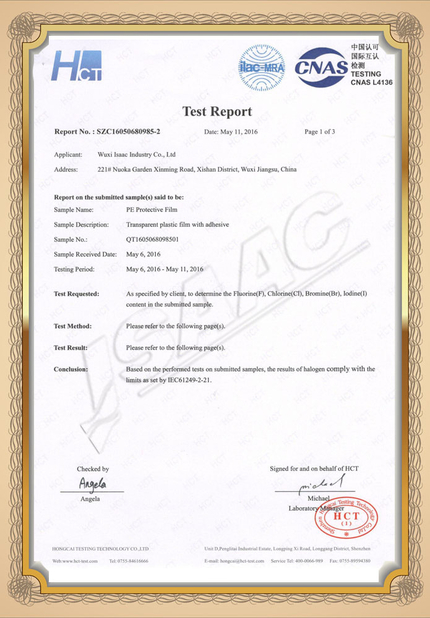 PE film is made of 100% pure grade A PE granules from SinoPec group, which is one of the FORTUNE 500 firms 2017, in third place. 2, Isaac has been strictly carrying out the quality control system as follow. Q: What the requirements are to have a customer’s logo printed on the roll? 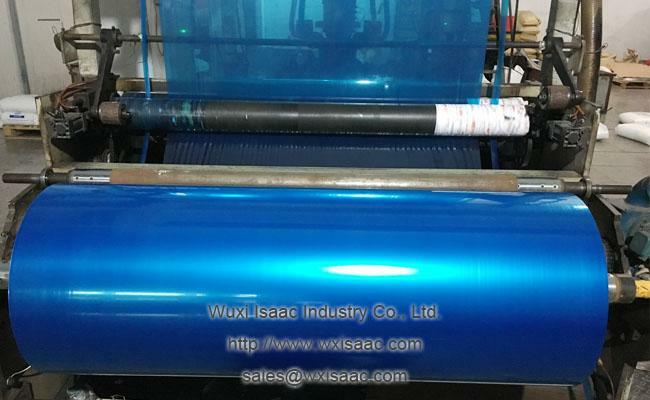 If customer can provide the finished printing layout design drawing, then just need to sent the drawing to us and we will print it on the film. No extra charge. 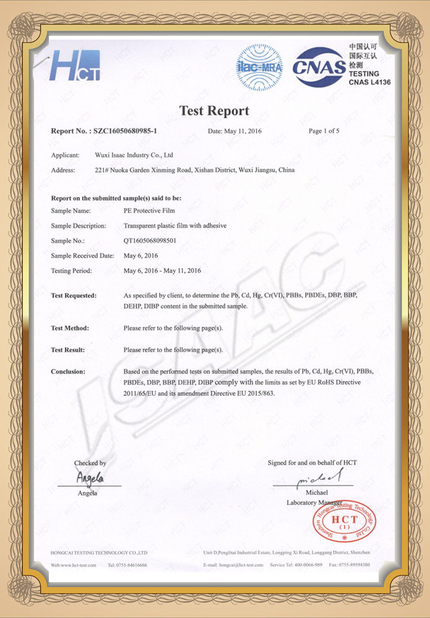 If customer can only provide company name or logo and need us to design the printing layout, the drawing will be designed by us and sent to customer for confirmation before printing. Q: Size 24”x200’. How many rolls do we have to purchase to get customer’s name and logo printed? Q: Would it be delivered to us or to the sea port or to our warehouse directly. 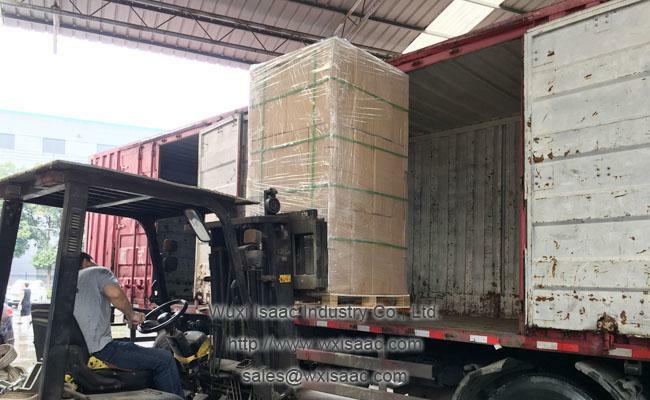 We can deliver it to the sea port which is the nearest to you. We can also deliver to your warehouse directly.